The rumored Samsung Galaxy S5 Prime could mean further price cuts for the already deeply-discounted Galaxy S5. More price cuts could be on the horizon for Samsung's just-released Galaxy S5 smartphone. 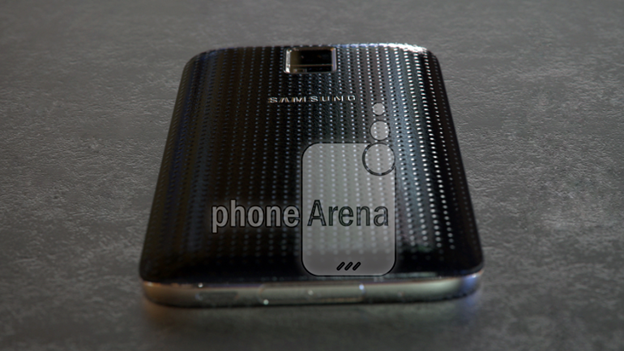 Leaked photos from tech blog PhoneArena have revealed what looks like the Galaxy S5 Prime, a rumored smartphone that pushes the limits of the current Galaxy S5. If true, the new phone could be the reason we've been seeing killer deals on the current Galaxy S5. So why the quick successor to the S5's throne? The Galaxy S5 Prime isn't so much a successor, but rather a higher-end version of the S5. For instance, whereas the current S5's display tops out at 1920x1080, the rumored S5 Prime will pack a sharper 5.2" QHD screen with a 2560x1440 resolution. Processor-wise, the Prime will also feature more horsepower packing either the Qualcomm Snapdragon 805 or Samsung's latest Exynos CPU. And unlike the current S5, which is clad in plastic, the S5 Prime will feature an all-aluminum body. Other rumored specs include 3GB of RAM (up from the S5's 2GB) and the latest Android OS, 4.4.3. Although there's no precise release date, Samsung currently has two press conferences scheduled for May 28 and June 12. Whether or not we'll get a bonus announcement at either event remains to be seen. One thing is certain, the Galaxy S5 Prime will make for better S5 deals, perhaps pushing the S5 toward the $0 mark much sooner than we thought. Rumors: Android Gets Into Leather? iWatch Will Cost an Arm and a Leg? Come on S5 prime so I can get s5 for free. LG G3.... need I say more?